This morning, the Acadèmia del Cinema Català (Catalan Film Academy) announced the nominations for 5th Premis Gaudí (Gaudi Awards) for Catalan film. 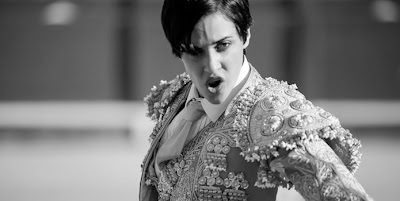 Pablo Berger's Black & White silent film Blancaneu (or Blancanieves, Spanish for "Snow White") leads the nominations with 12 nods in eleven categories. Its nominations include Best Picture in Catalan Language, Best Director and Best Actress (Ángela Molina and Maribel Verdú). Blancaneu was Spain's submission to AMPAS for the Best Foreign Language Film Oscar, but was not shortlisted. Right behind with eleven nominations is Óscar Aibar's El bosc (The Forest). It too was nominated for Best Picture in Catalan Language, Best Director and Best Actress (Maria Molins) as well as Best Screenplay and Best Actor (Àlex Brendemühl). The ceremony for the 5th annual Premis Gaudí will take place on February 3 Barcelona Teatre Musical.